Guests spent a magical evening strolling through Paris in the Springtime in celebration of Heartland Forest’s passion for all abilities. 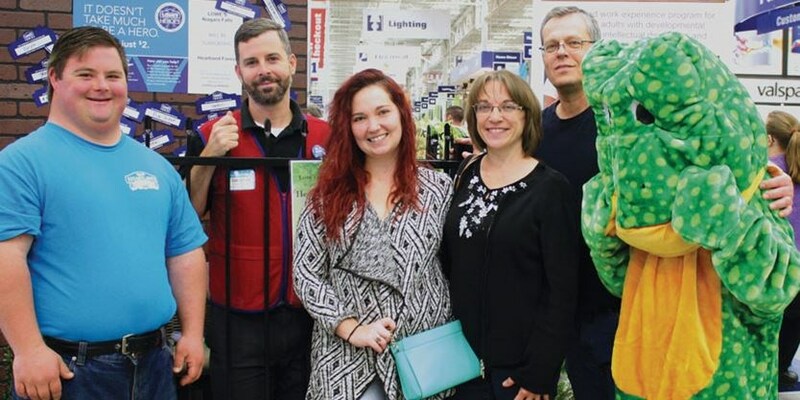 Heartland’s work experience program engages youth and adults with special needs in maintenance, facility set-up, reception, programming and wood working at their on-site wood shop. There were vendors of the French variety and French Poodles, all to make a difference in the lives of young adults with intellectual and developmental disabilities. Cathy, Dan & Lisa – Photo by Anna Spano. The Niagara Community Foundation is awarding five grants, totaling $20,500, from the Environmental Legacy Fund, to support projects that use a collaborative approach to meet environmental challenges. “The recipients all came to us with projects that were really innovative and unique,” said Bryan Rose, the foundation’s executive director. It has a new name, but admirers of woodcraft of all kinds will be treated to the same fine display of craftsmanship when the Niagara Woodcarvers Association hosts its annual show at Heartland Forest. The event draws woodworking practitioners from across the province, Cooper said. As in the previous 38 editions of the event, this year’s show will feature a competition as well, although with a new wrinkle. “The competition has been divided in separate categories for wood carving and wood art,” Cooper said. Visitors will also have a chance to vote for the People’s Choice Award, she said. Woodcarvers have all been given the task of carving a hat. Visitors will be given a chance to vote for their favourite. One of the highlights of the weekend, Cooper said, is the presentation of the Doug Robertson Memorial Award, named for one of the association’s founders. “It’s for someone judged to have done so much for the club,” Cooper said, adding the award is presented near the end of the event’s second day. Admission to the show is $5 while kids under 12 get in for free. Show times are 10 a.m. to 5 p.m. on March 24 and 11 a.m. to 5 p.m. on March 25. THOROLD — These champions have nothing to do with sports. There’s no Stanley Cups, Grey Cups or World Series trophies among them, but in the eyes of the Boys and Girls Club of Niagara, they’re champions for children. The club decided that Heartland Forest’s Dan Bouwman, the Town of Fort Erie — and Mayor Wayne Redekop in particular — and Niagara College all were worthy of recognition at the Champions for Children gala event held on Jan. 19 at John Michael’s Banquet Centre. When it came to choosing recipients for this year’s recognition, Turner said the entire board was surprised Bouwman had not ever been honoured in the 10 years the club had been handing out the awards. 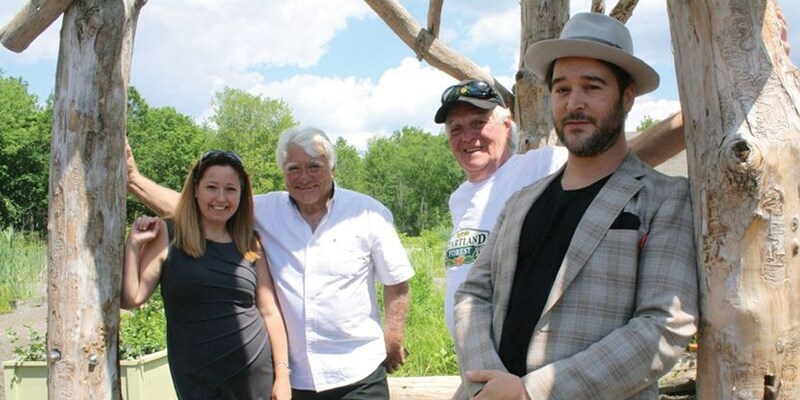 For his part, Bouwman was humbled by the award and credited Bailey, who was then-head of the Niagara Parks Commission, for giving the creation of Heartland Forest a kick start. As part of the fundraiser, Bouwman recalled he and Bailey being outfitted with chicken costumes to perform the ubiquitous chicken dance. 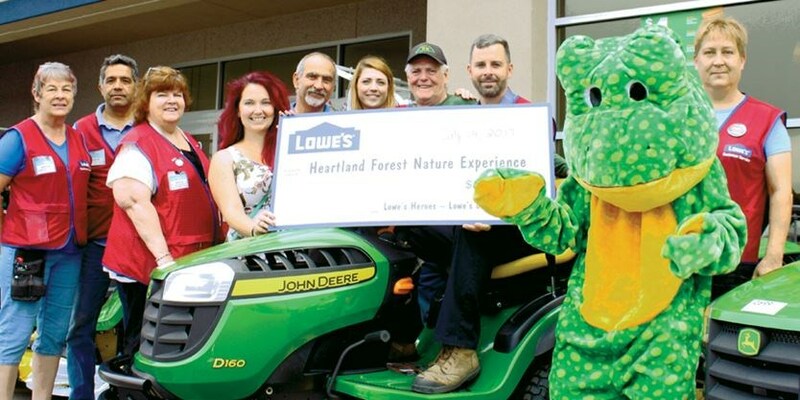 Since then, Heartland has welcomed 20,000 people a year through its gates, and even had the stretch of road where it is located renamed Heartland Forest Road. Since its humble beginnings, the park has added a state-of-the-art nature centre that houses various classrooms, including a woodworking shop funded through a grant from the Trillium Foundation. The wood shop has hosted groups including persons with brain injuries, stroke survivors and more. But, despite the awards and accolades received over the years, Bouwman has remained humbled. “It’s all about the children,” he said. 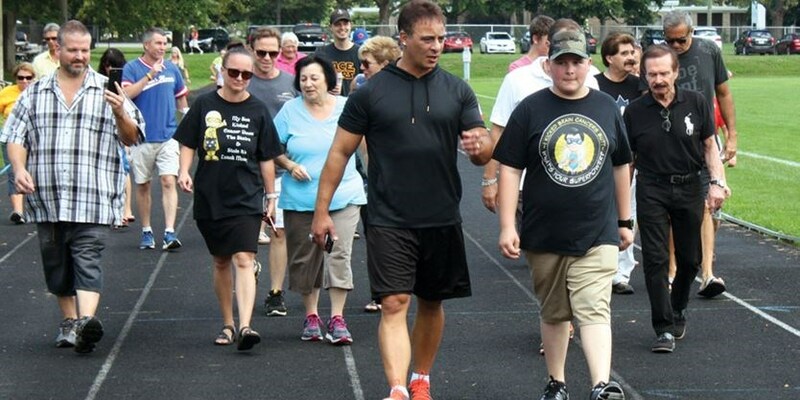 … by former Olympian Mike Strange raised money for the families of children living with life-threatening illnesses as well as Heartland Forest. … they wouldn’t normally,” she says, such as weekly trips to places like local farms, the Heartland Forest, and the Greg Frewin Theatre. ALISON LANGLEY/Niagara Falls Review Artist Adam Buller stands in front of a wooden sculpture he designed at Heartland Forest.